in your cabinets and drawers. Teachers and librarians can take old slides and turn them into JPEG files on computers. And you can also help your parents or grandparents to keep and share the old family photos with the younger generation. A step-by-step instruction manual is included. It's definitely a best gift. Use a clean, dry, non-alcohol cotton swab to clean the glass surface on the back-light holder and the business card fixture periodically to produce a clear image. 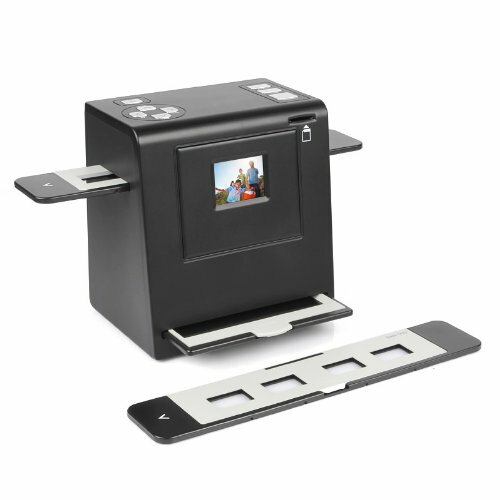 Make sure all negative films, slide films, cover trays and photos are free to dust and dirt before inserting into scanner as this may affect the image quality when scanning. When scanning films, please use a professionally recommended purger from a photo store to avoid damaging old or precious films. A scanner with an integrated color screen. You can scan old photos directly using this device. It is easy to configure and fast to scan. If you have any questions about this product by SainSonic, contact us by completing and submitting the form below. If you are looking for a specif part number, please include it with your message.